Hello Niota Elementary students and parents! 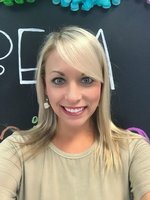 I'm Mrs. Carr and this year will be my sixth year at Niota as the School Counselor. I am so lucky to call this my job! The vision of the school counseling program at Niota Elementary School is to empower all students to reach their maximum potential by using a comprehensive program that addresses academic, personal/social and career goals. The needs of all students are addressed through a curriculum that fosters self-awareness, personal growth, responsibility, and appreciation of diversity to enable their success in a changing world. The comprehensive school counseling program supports the achievement of each and every student and strives to build collaborative relationships with parents, families, staff, and community members to create foundations for student success. The mission of the school counseling program at Niota Elementary School is to provide all students with a comprehensive school counseling program that assists all students in reaching their maximum potential as life-long learners and productive members of their community. This program delivers services through supports including classroom guidance lessons, small groups, and individual planning services to support the academic achievement, career development, and social emotional growth of each student. All students are capable of learning, in spite of adversity. All students can develop the motivation to succeed given the appropriate support and encouragement. All students have unique abilities and interests that will contribute to our future society. All students deserve the opportunity to learn in a safe, risk-free environment. All students deserve a well-rounded comprehensive education based on equality and inclusion. All students benefit from a comprehensive and developmentally-appropriate school counseling program. Source: American School Counselor Association, "Why Elementary School Counselors?" Middle school students are characterized by rapid physical growth, curiosity about their world and an emerging self-identity. Through a comprehensive developmental school counseling program, school counselors work as a team member with school staff, parents and the community to create a caring, supportive climate and atmosphere whereby young adolescents can achieve academic success. Middle school counselors enhance the learning process and promote academic achievement. School counseling programs are essential for students to achieve optimal personal growth, acquire positive social skills and values, set appropriate career goals and realize full academic potential to become productive, contributing members of the world community. Source: American School Counselor Association, "Why Middle School Counselors?"